How precious are these children and amazing these photographs? The photographer, Cara, just happens to be a friend of mine from college, with whom I’m so excited to have to reconnected with recently. 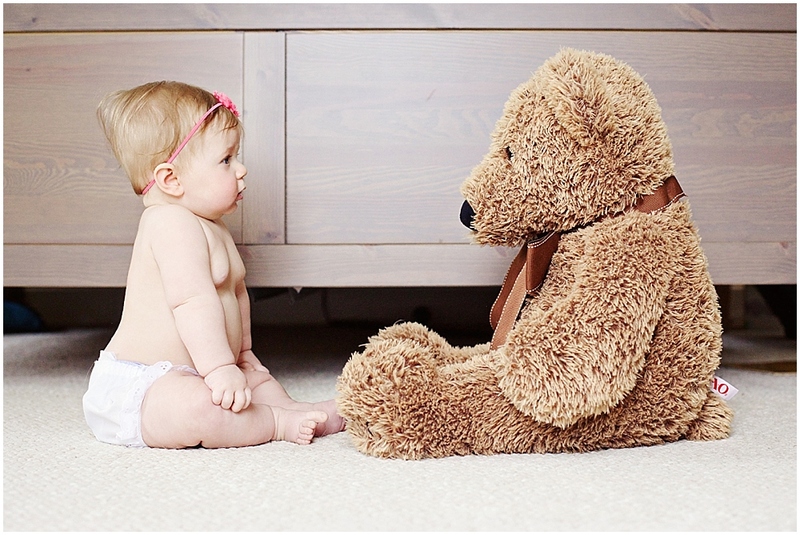 Cara Soulia Photography is a Boston-area photography who specializes in photographing babies, children and families. Not only does she make giving back to the community the heart of her business, but she also lives what she says and makes giving back a priority with her kids. Cara’s heart for giving is such a meaningful reminder that we have all been given gifts and talents that can be used to help others. And I can say from personal experience, she is such a pleasure to work with. Cara photographed my Ginger Lane collection. Blog post and photos to come. 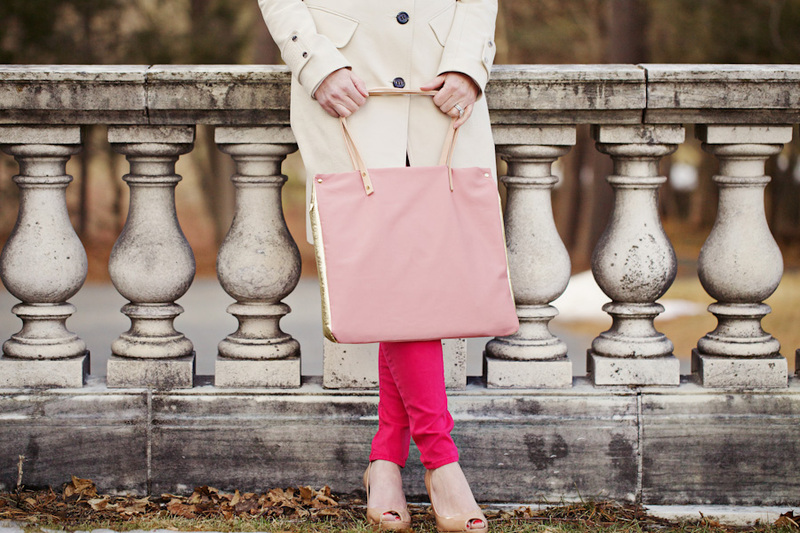 But you’ll find sneak peek at the end of this post! “I donate my photography services to Cradles To Crayons, which provides homeless and low-income children ages 0-12 the essential items they need to thrive. Each December, I photograph the organization’s biggest fundraising event: the Un-Gala. 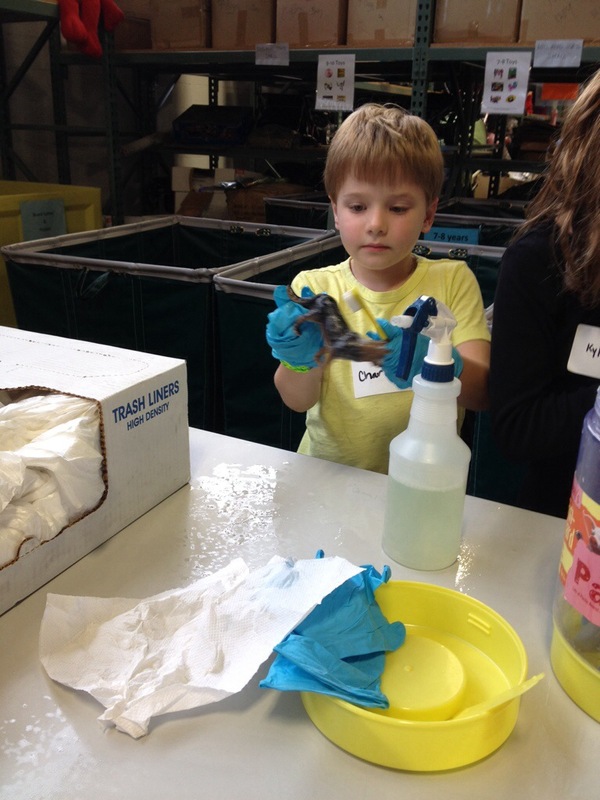 I love this event because kids participate and it is a hands-on family volunteering experience. In 2012, I brought my own family to volunteer, while I photographed the event. It was so fun to be there altogether and it was a fantastic way to introduce my kids to giving back and helping others. In addition to donating her time and talent to Cradles to Crayons, Cara also donates her photography to Solutions at Work, a local nonprofit that helps homeless and low-income people break the cycle of poverty by providing resources and opportunities. Looking for a way to support Solutions at Work? Donate professional attire, computers or children’s gear or make a financial gift. Sign up for the Cara Soulia Photography newsletter to stay in the loop. Or shoot her an email if you’re Interested in learning more about booking a session with her. Today, one of my boys’ went to a birthday party where they requested we didn’t bring any gifts for the child. Instead, they requested we bring an unwrapped gift for a child through Toys for Tots. What a great way to teach kids to give. Love that! 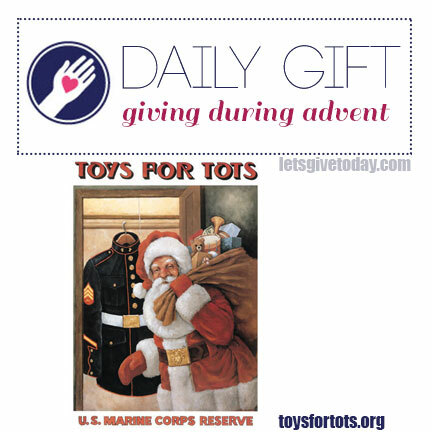 Consider buying a toy for a child and dropping it in a Toys for Tots bin. Find locations here. Oof. The year I totally forgot about Operation Christmas Child. Oof. 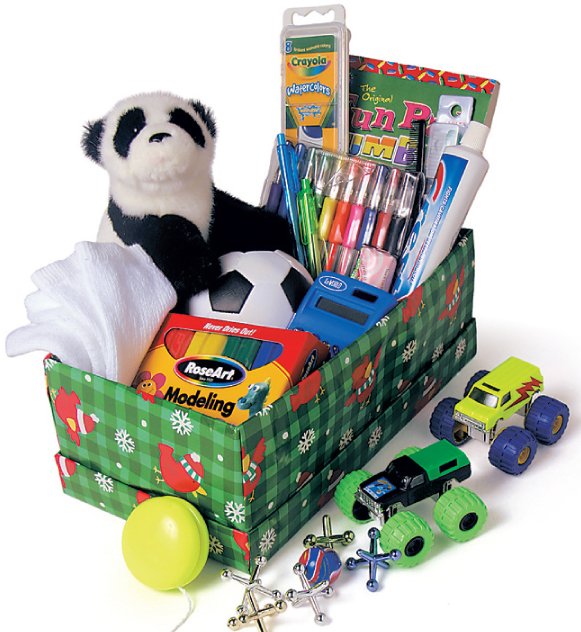 Operation Christmas Child boxes are due this week. THIS. WEEK. (What is Operation Christmas Child? 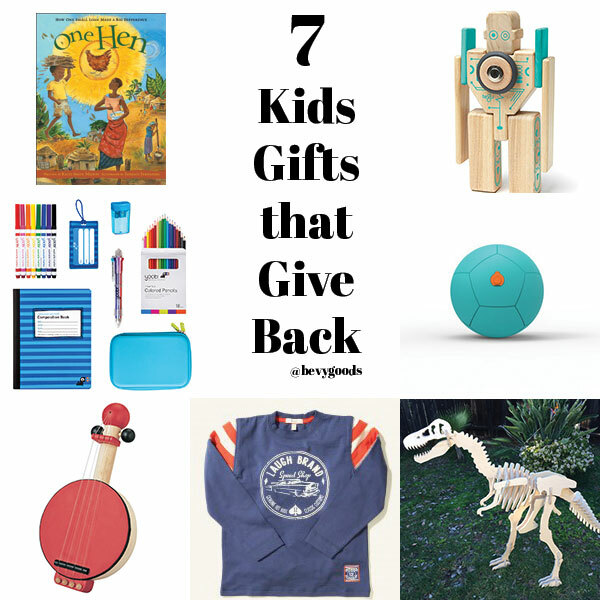 Not only does it help children, but it’s a great giving activity with kids. The boys and I put together shoeboxes last year – see it here!) See, I have this blog about giving. And I’ve been consumed with my little startup. And what happens? I let everything slide. Like what? Giving. This blog. Making giving a priority. See, I get it. We get busy. Consumed with other things. But it’s okay. The sweet, wonderful people at Samaritan’s Purse understand. They must really love me. Because let’s be honest, my heart sank when the boys realized it was Operation Christmas Child week. They said “Ooohhh! I can’t wait to do that again this year!” And I realized, but you’re in school all day, and I missed out on shopping with you this weekend, and this week is already looking crazy…. Guys. Samaritan’s Purse made an ‘Build a Shoebox Online‘! They made an interactive process where you can go through, pick out what you want to include in your shoebox, pay a fee and you’re done. They do the rest. And yes, creating a shoebox online takes away from all those moments when you can walk through the store with your kids, pick out items, pack them up and pray for the child that will receive them. But I’d so much rather a child receive something than nothing. To know they are loved and cared for. Despite my inability to prioritize our time right now. For those you who are able to pack a shoebox for a child in need, they must be delivered this week: November 18-25. Find a dropoff location here. Wondering how to pack a shoebox? Who knows, maybe I’ll get my act in gear this week. But I’m thankful that even if I don’t, I can build a shoebox online. I encourage you to do the same. 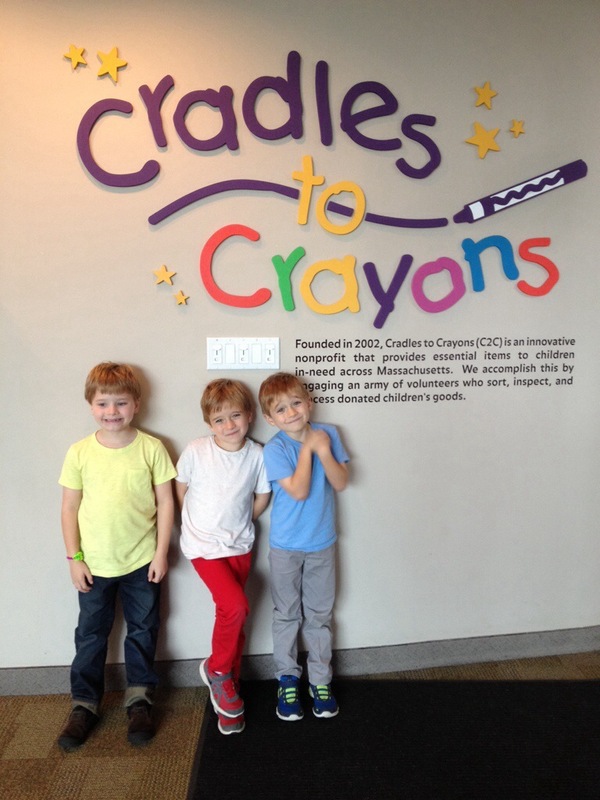 I recently brought the boys to volunteer at Cradles to Crayons‘ Giving Factory, with a local moms group. I have been waiting for this moment. When they would be old enough to know when it’s time to serve & work and not play. Six seems to be the magical number for my boys. Right as we arrived, I quickly learned I would have to leave to move my car. And when I returned, I could see my boys already hard at work. The stress caused by getting lost multiple times, being late, and not being able to find parking, was quickly washed away. 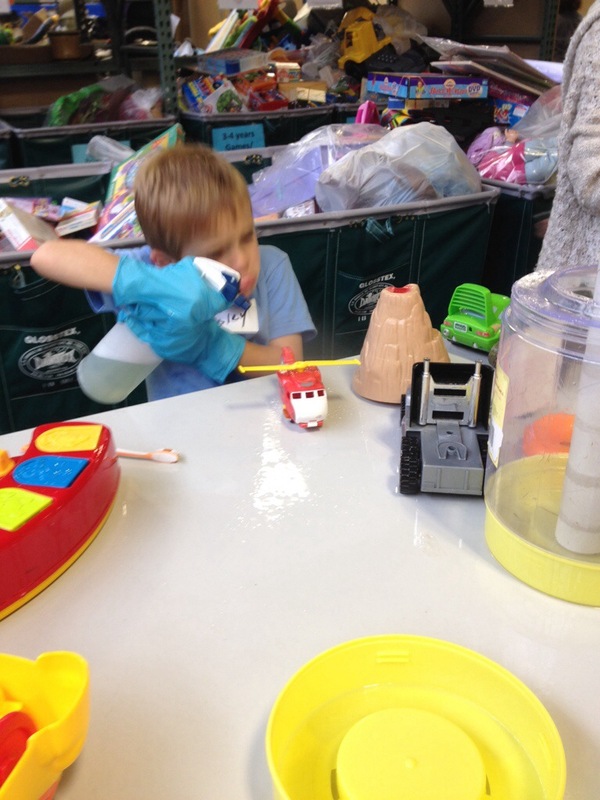 There they were, all set up in the Toy section: gloves on, spray bottles in hand, toothbrushes for scrubbing. They were working. They were serving. They were loving other children. I can’t say enough about how great an experience it was. At the debrief, they told us our group helped 72 children. 72! The boys were so proud of this number. They quickly asked when they could come back and do it again. 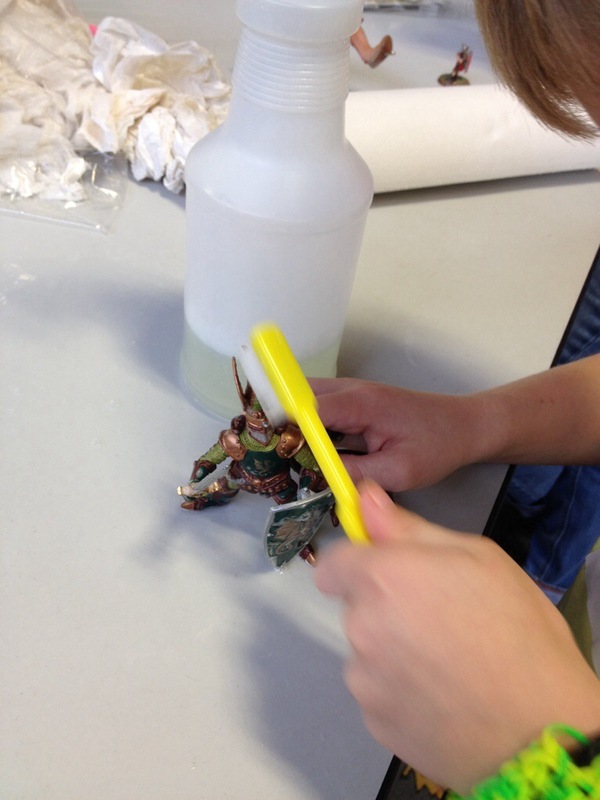 Scrubbing toys is such a fun and easy job for young kids. 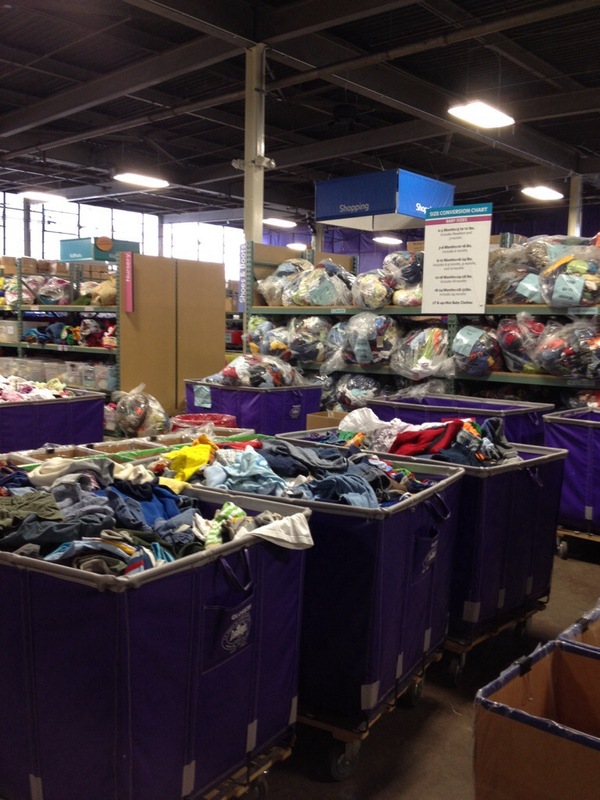 Older kids and adults can volunteer in one of the many different areas: sorting clothing, equipment, books. On the long walk back to the car, we talked about why it is important to serve others. We talked about how there are so many children who don’t have toys. We talked about gratitude. We talked about how God wants us to show His love to others. And for the first time in all my attempts to teach them about giving, I think they started to get it. They felt complete joy by being able to help other kids! 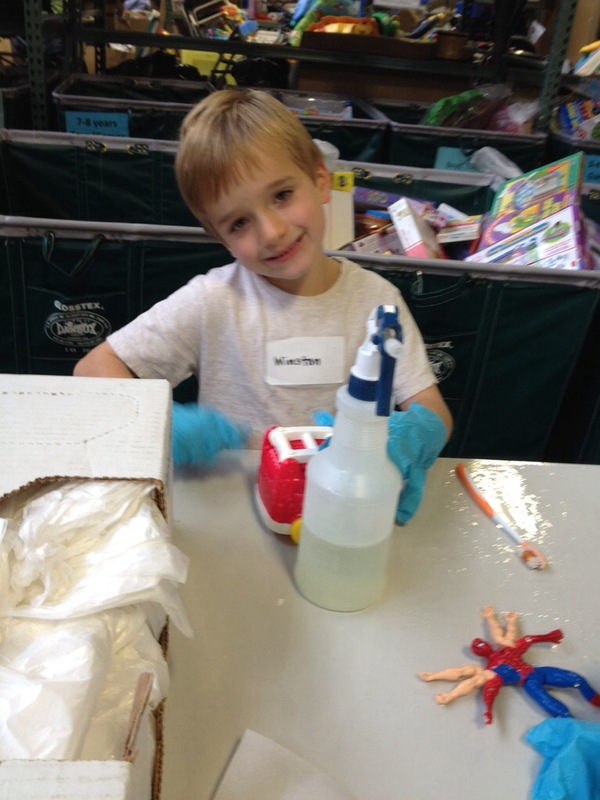 >> Please consider volunteering at Cradles to Crayons in either their Boston or Philly locations. >> Donate new or gently used toys, clothes, books, baby equipment. >> Winter is coming! Heavy coats, mittens, boots, hats are needed. 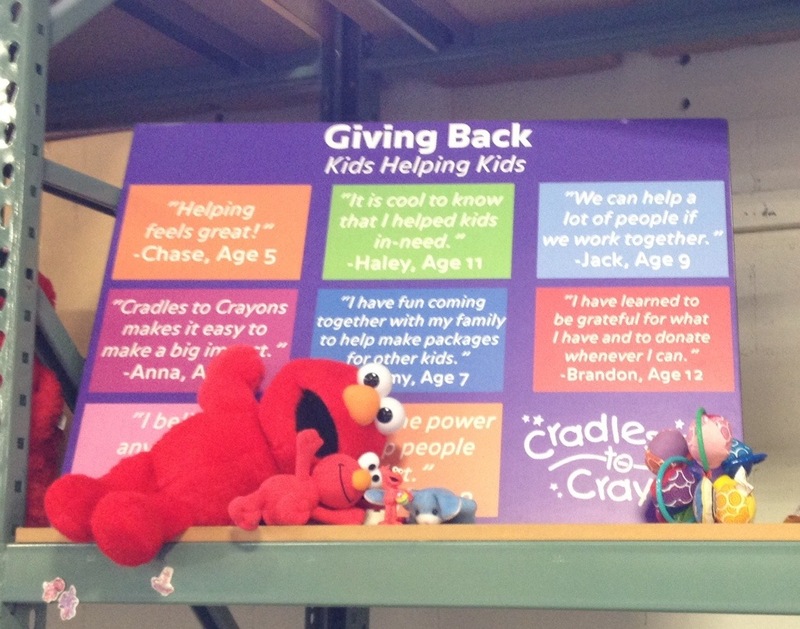 Even if you don’t have a Cradles to Crayons near you, donate to Salvation Army. They’ll even send a truck to you to pick up your goods. I’m excited to have Rachel, a fellow Influence Network-er, here sharing her story and giving project. 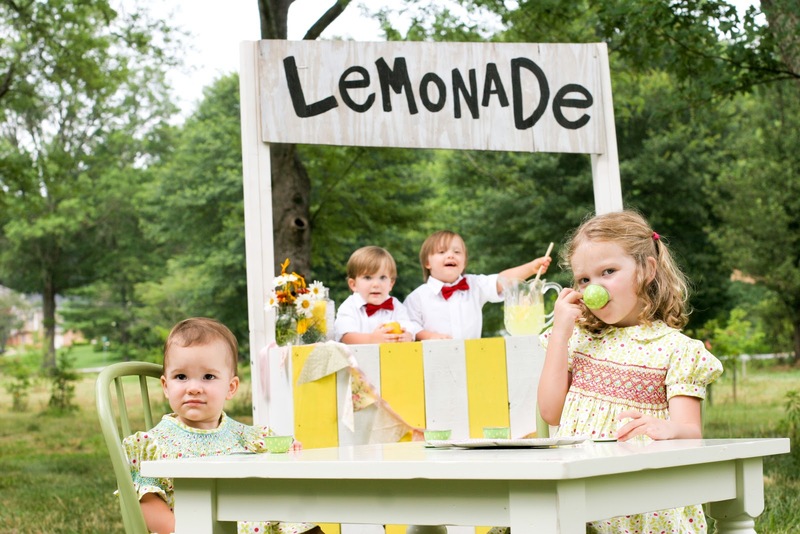 This is a great way to get your kids involved in giving: host a lemonade stand and donate the proceeds to Reece’s Rainbow. The mission of Reece’s Rainbow is to rescue orphans with Down syndrome through the gift of adoption, to raise awareness for all of the children who are waiting in 25 countries around the world, and to raise funds as adoption grants that help adoptive families afford the high cost of adopting these beautiful children. 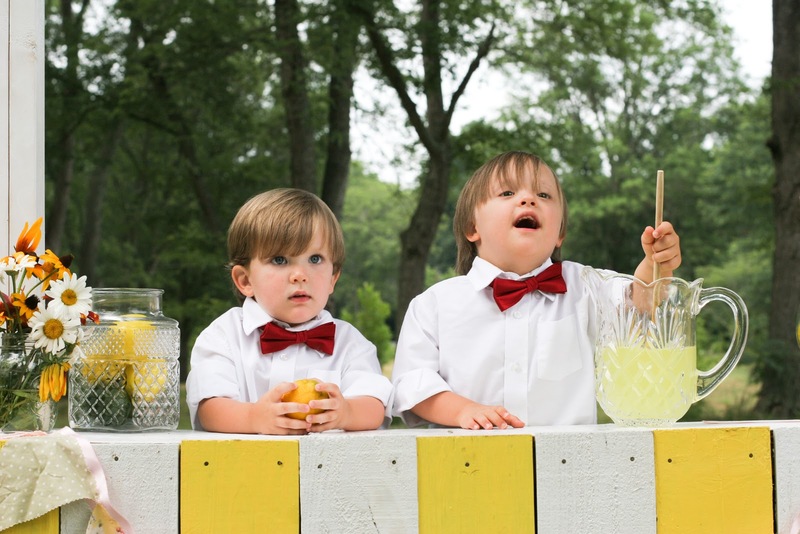 Please visit Rachel’s blog for a list of great tips for hosting a Lemonade Stand for Reece’s Rainbow and let her know that you will be joining her Lemonade Stand Campaign! I am thankful and honored to have this opportunity to guest post today. So that you know a little bit of who you are hearing from here are the basics, I am 34 year old wife to a soon to be pastor, (he is finishing up seminary this summer.) I am a mother to five wonderful(most of time) children(one of which is due to be born any day now.) Our life is often messy but in the mess we get to see God make something beautiful in our lives. I would love for you to come by my blog, www.make-something-beautiful.com and get to know my family and I better. My heart grew significantly for orphans with Down Syndrome and special needs after the birth and Down Syndrome diagnosis of my first Son Sam in 2009. 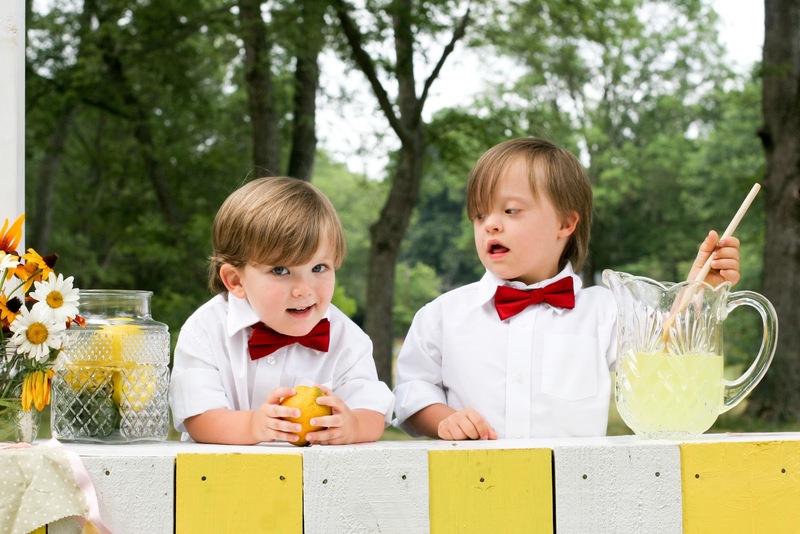 After Sam was born while doing research on the Internet on his condition, Down Syndrome I discovered an amazing organization called Reece’s Rainbow. They are in the business of redeeming orphans with special needs. Special needs orphans are the bottom of the barrel as far as orphans go, they are often living is horrible conditions with out adequate housing, clothing, food, medical care and worst of all human interaction. Often children with mild and moderate disabilities are left in crib rooms for there whole life, never escaping the bars and white walls. JOIN US and “MAKE A STAND FOR ORPHANS! 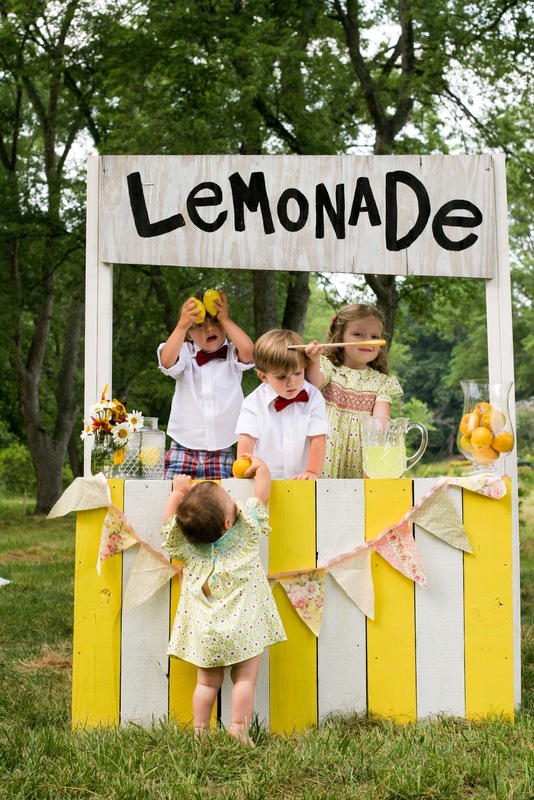 !” Host a lemonade stand in the month of May or collect change to give toward the redemption of beautiful special needs children around the world. You can give directly to Reece’s Rainbow and receive a tax deduction. FOR MORE TIPS PLEASE VISIT MY BLOG AND LET LEMONADE BE USED TO REDEEM!! These headbands and accessories are easy enough that school-age children can make them, with a little help from an adult. What a great way to teach kids about giving to others! 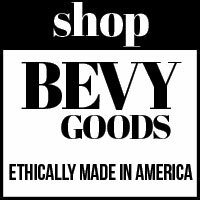 Email me if you are able to participate – we would love to hear about your experience! Little Ladybug Shoppe has the unique opportunity to provide handmade hair accessories to young girls diagnosed with terminal illnesses. It is my hope that this small act of kindness will be a true blessing to them. I wanted to add my reasoning behind these nylon headbands. Since the girls who will be receiving these bands have terminal illnesses, I wanted to be considerate of the fact that they might have no hair due to chemo, bruise easily due to medication or treatments, or very sensitive skin due to their specific condition. I thought the soft nylon bands would be the most comfortable option, and allowing the removable accessories would add some fun and variety. Thank you so much for your interest in joining Little Ladybug Shoppe‘s mission to bless terminally ill children. I hope we can be a ray of sunshine to them all. Below is the tutorial for just the headband. Click here is the full tutorial, including the accessory flower, rosette, and bow clips. 1. Cut one leg of the pair of nylons and then cut down at the toe so you basically have a “sleeve”. 2. Measure 18″ and trim off any excess fabric. 3. Bring the two ends together and tuck one end inside the other. Make sure it measures 8.5″ to make a standard child’s size headband. 4. Thread a running stitch to join the two ends together. 5. Pull the thread tightly so the fabric bunches up where you placed your stitch. 6. Wind the thread around the bunch several times and then finish with a couple of finishing knots in the back. 7. Cut a three inch piece of ribbon and use a hot glue gun to secure it around the fabric bunch. Make sure it is tight, but just loose enough to slip an alligator clip underneath. Please visit the Little Ladybug Shoppe for the rest of the tutorials. Learn how to make the clip-on accessories: bows, flowers and rosettes!